It's always exciting to see an artist have a huge night at the Grammys. And no one had a bigger one than Adele, who went home six for six, sweeping the top categories and cementing her name in the record books alongside Beyoncé as the most celebrated single-night female Grammy winner in history. 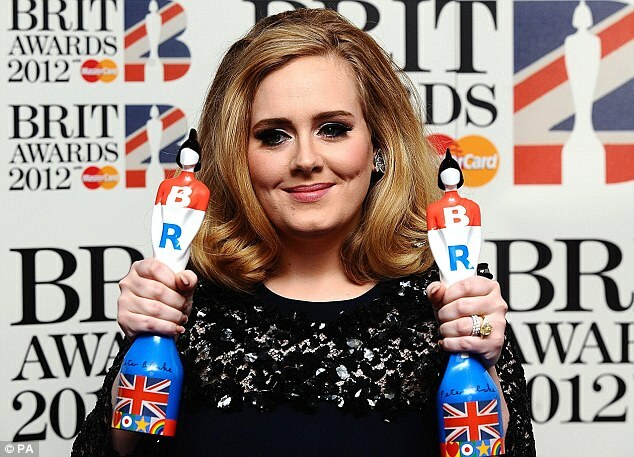 Now, she has won another two awards at BRIT Awards which held in The O2, London on 21st Feb. Congratulations again! The 23-year-old was on stage accepting her second award of the night, British Album of the Year- after taking home Best Female Artist - presented by George Michael. She said: 'Thank you so much, thank you, thank you very, very much. 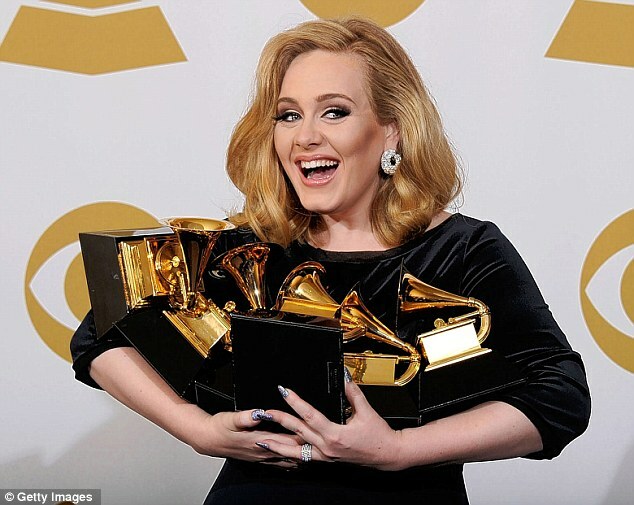 'Nothing beats coming home with six Grammys and then coming to the Brits and winning album of the year.